The Pizzeria KMOTRA Kavárna, founded in 1993, is the oldest pizzeria in Prague and prepares pizza in a traditional wood-fired oven. We know that good Italian cuisine is based on high-quality fresh ingredients, meeting good manufacturing practices and with good people in the kitchen and in front of the stove. We are a family business with a homely atmosphere and prepare high-quality Italian cuisine at reasonable prices. In the beginning, during the 1990s, we only served pizza. Since then a lot has changed and our service has expanded. True, we still bake great pizza with real mozzarella, but we also serve fresh homemade pasta of different kinds and colours (which you can also buy raw from us and cook at home). We offer typical Italian appetizers, great salads with a balanced composition that are suitable as main meals, feasts of meat and delicious fresh salmon. We are the first pizzeria to include diet meals as well as dishes from “Šmakoun” – a Czech food, based on dietary proteins coming from eggs which are suitable for vegetarians and people with a gluten-free diet and for athletes. “Great food & service“: My boyfriend and I stumbled upon this beautiful and cozy restaurant, pizza was great, we had two dark beers. All in all it was suprisingly reasonably priced, and the staff was very polite and hospitable. Highy recomended! PS go downstairs. “We walked a long way. Worth every step. “: Wow! Prices right. Food extraordinary. Not on the way to anything, but so glad we trekked to give this place a try. The pizza is insane good. As was a spaghetti dish that the mushrooms sang from. We started with their in house hummus. Also, had wine from Monrovia and Italy. Both reasonably priced. The server was friendly and suggested dishes and wines. What a great night. Give this place a try! 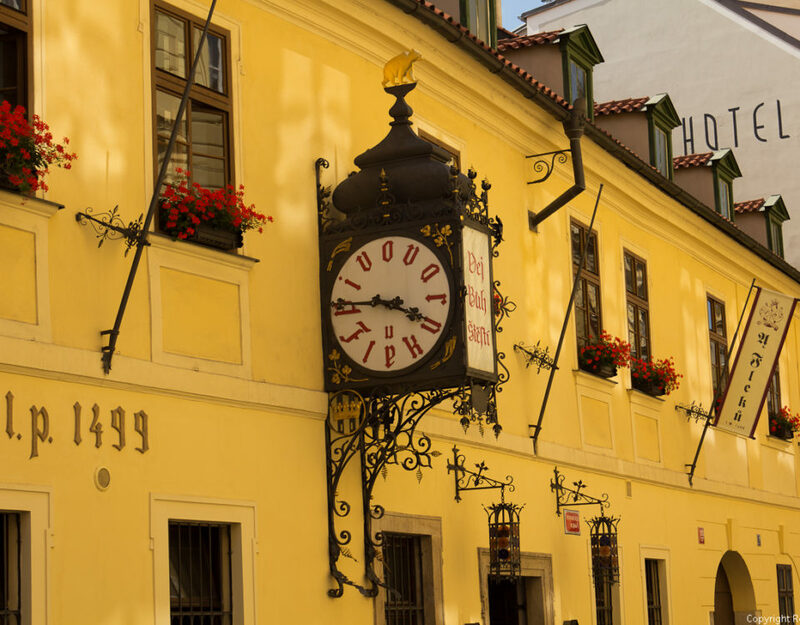 Kmotra is one of the oldest pizzerias in Prague, founded in 1993. 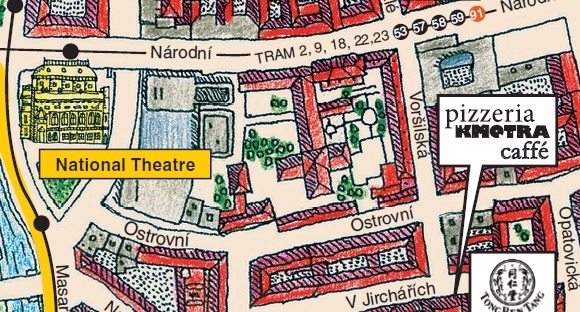 It is located close to the National Theatre or Národní třída underground station. Our chefs follow traditional Italian recipes. 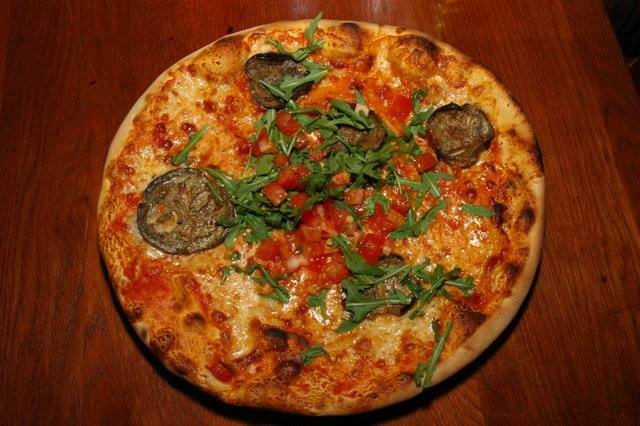 We prepare homemade fresh pasta, fish and meat dishes, salads as well as pizzas in wood heated oven in front of your eyes.